On Christmas Eve 2017, I received an email from Ovidiu Stanciu, a Romanian DJ who I got to know about a year before. He had invited me and Marlijn van de Kerkhof to play at one of his monthly We Play Wax vinyl sessions in Rotterdam. Later he invited me to a crazy party at his house, which turned out to be one street away from mine. In his email he sent 3 demo tracks, of which the first two I didn’t really like much. But while I was thinking how to formulate my doubts I gave the third track a try and I absolutely loved it! That third track was called Articulat. I asked him if he had more tracks like that one and I discovered that, under the moniker Manikin, he worked on several concept albums with titles like Popular Mechanics, Taxim and Grandma’s Attic Revival over the last couple of years. He sent me more than 20 tracks and, while making the selection for this debut EP, it felt like curating a ‘best of’. So, we chose to drop three thriving and pounding slow-beat bangers on the A side, and to show more of his versatile style on the B-side. 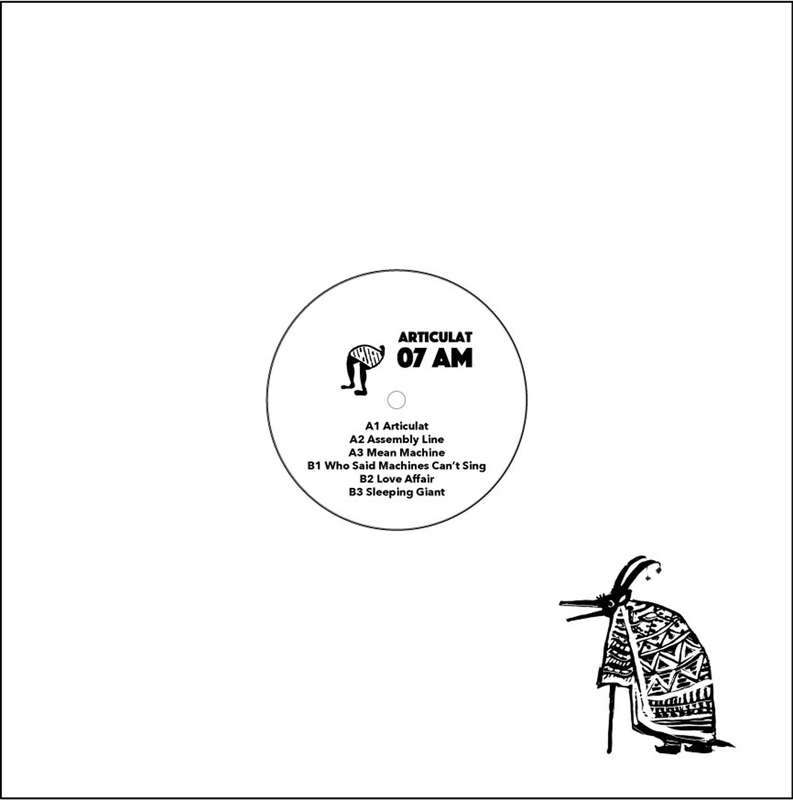 He chose Articulat as his producer name and we decided to call this debut “Best of Manikin”. Expect experimental electronic songs inspired by themes like Steampunk and Romanian folklore, such as the track Love Affair which is sampled from an old record he literally picked up from his grandma’s attic. The character depicted on the cover is called “capra”, “țurca” or “brezaia”, according to the region, and is a symbol of re-birth and fertility. It appears in celebrations related to the winter solstice where groups of people, wearing colorful masks and costumes, perform various rituals involving dancing, playing instruments, singing and reciting. The costume’s head is built to resemble a stag (often with real horns) and has a snout made of two wooden blocks. The lower part of the “jaw” is articulated and is hit against the upper jaw by the person wearing the costume with the use of a rope. The strong wooden claps, often doubled by loud drums, sustain the rhythm of the dance. The costume’s cover is made from loomed carpets covered with colorful paper or fabric stripes. It conceals the body of the person wielding it and creates a sound texture of continuus rustle. Additionally, bells or other items may adorn the costume and add more sound, rhythm and texture to the already intense and loud performance.